Egypt's interior ministry announced on Tuesday a high security alert level and said it would be allocating 230,000 security personnel to secure the country's Christmas celebrations which start next week, security sources told the official state new agency MENA. "Holidays and vacations were cancelled for security personnel and officers at all security directorates across the country,” security sources told MENA. The source added that the security plans will include deployment of personnel and officers from all the ministry’s departments to protect 2,626 churches nationwide during the celebrations. Coptic Egyptians, who make up 90% of all Christians in the country, celebrate Christmas on 7 January. However, a minority of non-orthodox Christian Egyptians observe the holiday on 25 December. The security plans will also include public parks, vital state institutions and touristic sites. According to the source, security procedures have been updated to ensure the safety of CCTV and metal detectors systems at all churches across the country. "Security forces are also planned to intensify proactive hits against terrorist organisations, as well as tightening security measures at border crossings between North Sinai and other governorates, to prevent any infiltration from terrorist elements into the cities," a source told MENA. In the last two years, Terror attacks on churches during religious holiday seasons left tens of Christians killed and many injured. 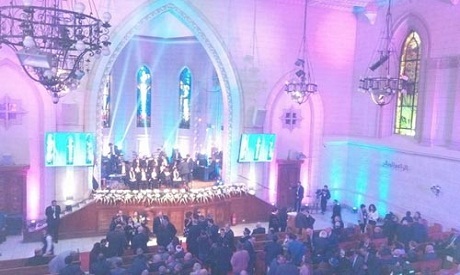 On Palm Sunday last April, two terrorist bombings at St George Cathedral in Tanta and St Mark's Cathedral in Alexandria killed a total 47 worshippers in near-simultaneous attacks. In December 2016, a suicide attack in Cairo's St. Peter and St. Paul Church killed 29 people, mostly women and children, during mass. The terrorist Daesh group claimed responsibility for those terror attacks. The deadliest terror attack in Egypt's recent memory took place in November of this year, when Daesh-affiliated terrorists attacked worshippers at Friday prayers in a mosque in Bir El-Abd town in North Sinia, killing 311 people and injuring tens. The Egyptian army and police have been battling an entrenched Islamist insurgency for several years in North Sinai, with hundreds of security forces killed in the attacks.